AMI Health Card provides a set of advantages to its members, with the same pricing, regardless of the number of people added to the card. In the case of hospital admission for a period of 24 hours or more, or for a shorter period in the case of medium or large surgical interventions, expenses incurred with medical, diagnostic or therapeutic acts shall be reimbursed up to 60% and an annual limit of € 7,500 per household member. There is a deductible for internment of € 250 in the Medical Assistance Network or € 1,500 if the said Network is not used. Ambulance transportation to and from the hospital, provided that the state of health of the beneficiary justifies it. Daily allowance of € 50 or € 75 (in the case of ICU or childbirth) for hospitalization in a public or private unit, as a result of an accident or illness, in Portugal; available abroad only in case of sudden illness or accident and provided that the stay does not exceed 60 days; subject to a grace period, maximum 90-day stay/annuity limit and an internment deductible of 3 nights (4 nights in case of childbirth). Among other situations (see Regulatory Provisions in “Check Here”), the following are excluded from any daily allowance or hospital medical care: benefits a) and b) — hospitalizations motivated by accidents and diseases prior to the start date and accidents at work. Not eligible for these two benefits are persons who, prior to the start date of the Card, have been affected by cerebrovascular diseases, psychiatric illnesses or other serious disease or illness with an evolutionary and/or permanent nature. Both the cardholder and the household members benefit from these two perks until they reach 75 years of age. There will be no need to apply any grace period in case of an accident that requires emergency treatment in a hospital. Surgery packages with advantageous prices. Works only in the Medical Assistance Network and also applies to pre-existing diseases, exclusions, births, aesthetic surgeries and minor surgeries. The grace periods can be 90 or 365 days, depending on the type of surgery. The contracted values for surgeries with or without hospitalization, listed in the Table of Surgical Packages, can vary between a minimum value and a maximum agreed value, whose application varies according to the Health Care Unit of the contracted Medical Network. This table is available for consultation on this page. A medical service of urgent assistance, subject to the legal and regulatory standards in force for the performance of the medical service, will be provided to the beneficiaries and their household, for a maximum total of 6 persons. Telephone Medical Advice: consists of medical advice, by telephone, to the beneficiary and members of the respective household. It operates 24 hours a day, every day of the year, including Christmas and New Year’s Eve. This counselling service is exclusively provided by doctors. The emergency medical service operates 365 days a year, 24 hours a day and has a fixed cost of € 10 per medical act. It operates throughout the National Territory (including autonomous regions), with the exception of some problem areas, which will be indicated (if any) by the medical services themselves. Optical Network: special conditions, with discounts up to 20% on the retail price. (*) CUF and Lusíadas Group Units are not included, where the consultation price will be € 40. In the Autonomous Regions of Madeira and the Azores, the maximum price of urgent consultations will be €50. The amounts presented are valid for an annuity and can be reviewed and updated during the term of the agreement. The contracted amounts may vary from provider to provider, and may never exceed the maximum amounts provided (except for units with special conditions). 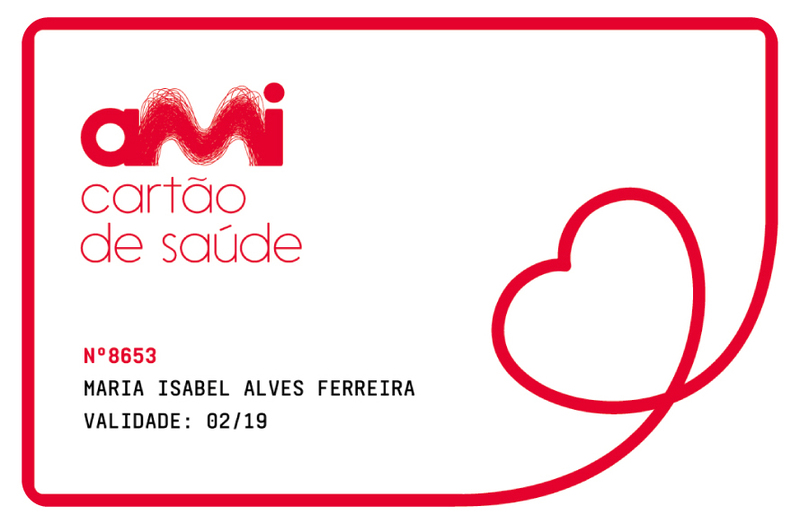 Free organization and transport, from the beneficiary and/or member of his/her household, following an accident or illness, from his/her residence or any other point of the country (mainland Portugal and islands) to the destination health unit. This benefit works exclusively in case of hospitalization, also ensuring the return after hospital discharge. According to the severity of the case, this transport is carried out by the most advisable means, according to the opinion of the medical department of the assistance service in case of accident, or report of the attending physician in case of illness. After discharge from the hospital and after hospital admission, it is guaranteed, through the assistance services, the daily follow-up of the convalescent in case the latter requires paramedical assistance and/or home nursing, as long as proven by medical report. The following are excluded: treatments and stays in nursing homes, nursing homes, spas and the like; pre-existing diseases or injuries; diseases of the psychic forum; criminal acts or omissions; and those practiced under the influence of alcohol or narcotics. The delivery of medicines to the beneficiary’s residence is a guarantee when he/she is in possession of a medical prescription. The cost of the service and the medicines shall be supported by the beneficiary and he/she will be informed in advance by the Assistant. Discounts may still be variable in each of the pharmacies for each of those items. No refunds will be made outside the of the Contracted Pharmacies Network. Access to annual check-up consultations in a contracted healthcare provider of the Medical Assistance Network, up to the limit of 1 consultation per year per member of the household, with a co-payment of up to 50€. Includes: General Practice Consultation, Urine II, Total Cholesterol, HDL, Triglycerides, Fasting Glycemia, Sedimentation Rate, Creatinine, Transaminases, Gamma T, Uric Acid, X-Ray Thorax with report, ECG at rest. Following the check-up and according to the instructions of the beneficiary, the Assistant will arrange and schedule additional prescribed diagnostic exams or consultations of any specialty in the Conventional Medical Network. 24 hours before the examinations or consultation, a reminder SMS will be sent with indication of the date, time and place of the medical act. Access to 2nd Medical Opinion is made available through our medical consultants, who will carry out all the management of the clinical process (collection of diagnostic tests, consultation, analysis and elaboration of the respective diagnosis with the respective diagnostic and/or therapeutic recommendations and due explanations to the Customer). This service covers the following serious illnesses: AIDS, Aphasia, Alzheimer’s Disease, Multiple Sclerosis, Blindness, Organ Transplants, Benign Brain Tumor, Cancer, Cardiovascular Diseases, Neurological Diseases, Parkinson’s, Deafness, Coma, Renal Failure, Terminal Illness, Trauma, Paralysis, Stroke, Serious Burns. In case of a bedridden beneficiary at home or incapacity of the beneficiary or family member (maximum of 6 persons), a professional nurse will be sent during the time necessary for the recovery of the patient. This guarantee has a maximum limit of 90 days/year/aggregate and a co-payment of 10€, payable by the beneficiary for each service. Access to an Agreed Network of Assisted Residences, with Iberian coverage, and with special access conditions that translate into discounts that can go up to 15% off the retail price. The agreed network of providers is composed of a set of technicians and residential centers accredited by the respective license. Access to a support and advice service is guaranteed in regard to the type of accommodation according to identified needs. Mobility in the beneficiary’s accommodation, with possibility of traveling within the national network for a temporary or permanent period. Carrying out training actions aimed at relatives and caregivers of dependent beneficiaries, focusing on providing basic and necessary training in dependent care, with a special focus on hygiene, mobility and food. Any additional medical acts are excluded from the scope of this service even if they result from a recommendation obtained within the scope of this service. Access to this service is done by scheduling through the Permanent Assistance Line and does not imply any payment. The access to a Contracted Network in Wellness and Alternative and Non-Conventional Medicine with special conditions is guaranteed: Acupuncture, Aromatherapy, Ayurveda, Chromotherapy, Phytotherapy, Homeopathy, Reflexology, Reiki, Naturopathy, Osteopathy, Chiropractic, Shiatsu, Psychology, Speech Therapy, Anti-smoking Consultation, etc., with agreed benefits that can go up to 30% discount off the retail price. In case of a bedridden Beneficiary due to an accident or illness that makes it impossible to travel by his/her own means (as long as proven by medical report) and whenever requested by him/her, small home purchases will be provided. The cost of purchasing and traveling is supported by the Beneficiary. If the Beneficiary is unable to travel by his own means, the Assistant will arrange the non-medicalized transportation for the beneficiary’s travel from the place where he/she is to the Hospital or Clinic of the Medical Network where he/she will carry out the respective examinations/consultations. The cost of the service is supported by the beneficiary and he/she will be informed in advance by the Assistant. In case of an occurrence that creates a need (proven by medical report), a Physiotherapist will be sent to the beneficiary’s house to facilitate a quick improvement and also the recovery from the injuries caused by the said occurrence. The home physiotherapy service aims to improve the quality of life through benefits such as: greater schedule flexibility, and convenience and comfort with treatment at home, allowing a better contact with the physiotherapist, thus contributing to the recovery of the beneficiary. All treatments will be performed by accredited health professionals. The payment of the home physiotherapy service is the responsibility of the beneficiary. The budgeted amounts will be paid by the beneficiary to the provider when the service is rendered, who will return the corresponding receipt. Carrying out clinical analyses at the beneficiary’s home whenever he is unable to travel by his own means to carry them out. The cost of performing the clinical analysis service at home is supported by the beneficiary and he/she will be informed in advance by the Assistant. In case of loss or theft of keys from the beneficiary´s address of residence/household, the costs of lock replacement are guaranteed, up to a maximum limit of € 100/annuity, provided that the respective proof of expense is presented. Personal documents include: ATM, Debit and/or Credit Cards, Identity Card, Citizen’s Card, Driver’s License, Passport, Taxpayer Card, SNS User Card and Transportation Passes of the Insured, as well as Booklet and Title of Vehicle Registration. This benefit will activate in case of robbery or theft of personal documents and consists of: 1st Coverage of the costs charged by the issuing agencies, by the reissue of the documents, up to a maximum limit of € 100 per occurrence. The beneficiary must provide, for the purposes of reimbursement, the corresponding supporting receipts. Coverage of up to € 50,000, with a deductible of € 75 per claim, in the event of damages caused to third parties, in the scope of civil liability, caused by the beneficiary, his spouse, ascendants or descendants who live with him in a joint economy, children entrusted to him in an non-professional relationship, servants and domestic animals, and damage caused by bicycles without motor driven by children under 12 years of age, provided that they are not on the public road or private domain when open to the public; incidents resulting from acts committed during the private life, that is, outside the exercise of any professional activity are covered by this benefit (limited to the National territory and Autonomous Regions). Exclusions are described in the Regulatory Provisions. This benefit guarantees access to a Network of Animal Health Care Providers, with reduced costs in clinical and non-clinical services. In order to benefit from this gift, the Beneficiary is obliged to pre-register up to a maximum of 2 domestic animals per Card in the space provided for this purpose in this site, or through the telephone numbers 210 443 744 (24 h) or 213 303 600. THE AMI HEALTH CARD BENEFITS ARE ALL EXTENSIBLE TO ELEMENTS OF THE HOUSEHOLD, UP TO A MAXIMUM OF 6 PEOPLE PER CARD.